Welcome to the Eternal Championship, a new daily experience that will pit players against some of the galaxy’s most notorious fighters. 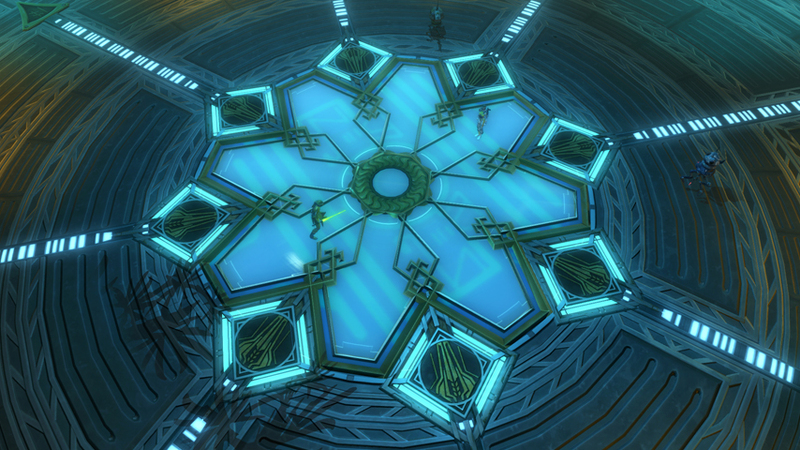 Below Zakuul’s sparkling exterior lies The Arena Grand, a decadent venue where citizens of the old world indulge their basest desires as spectators of brutal gladiatorial events. One such event is Mayhem, where beginning with Game Update 4.4 “Profit and Plunder” players may compete to earn the title of Eternal Champion. The Eternal Championship is a solo-able PvE experience that will be available to all players who have played up through Chapter IX “The Alliance” of Knights of the Fallen Empire. By traveling to the Platform 6 Cantina on Zakuul and speaking with fight master Dominaire, players may enter Mayhem at the Arena Grand. There they will fight through multiple rounds of increasingly difficult enemies, accumulating rewards with each completed round. Only those who are skilled and diligent enough will work their way towards the final round in hopes of unseating the Eternal Champion. Each round of Mayhem will pit the player against a new boss NPC, each more challenging than the last. These fights are only designed for a single player and their companion of choice, but as the difficulty increases, perseverance will be required to attain the Championship. Upon defeating a boss and completing the round, players will be offered the chance to continue to the next round or exit the competition and claim their rewards. If defeated themselves, players may attempt the round again, but rewards are only handed out once the player decides to leave the competition or if they are victorious all the way through to the final round. Rewards for each round accumulate, so winning round 3 will get you the rewards for rounds 1 and 2 as well. In addition to the mission to compete in the Eternal Championship, there will also be a collection of Weekly Missions specifically targeting the defeat of some of Mayhem’s most challenging round bosses. These Weekly Missions will offer tokens that can be turned in to new vendors located in the Platform 6 Cantina on Zakuul for new gear and other exciting rewards. Finally, we’ve added a collection of Achievements targeting The Eternal Championship, providing new challenges and new rewards as well. So tune up those blasters and lightsabers and make sure your armor is in good repair, the crowd grows restless and the Eternal Championship is upon us!